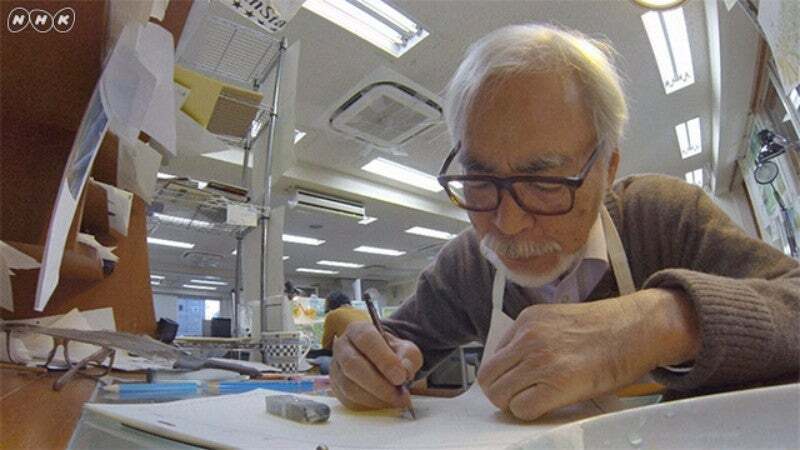 Studio Ghibli producer Toshio Suzuki said in a recent interview that he doesn’t believe Hayao Miyazaki, who previously retired and then unretired, will ever stop working. Back in 2013, Hayao Miyazaki stepped down from feature filmmaking, saying at the time, “I would like to do something else, and that’s not animation.” By 2017, his retirement was officially over, and Miyazaki was pitching an idea for the feature animated film he’s currently making. Miyazaki’s current project is Kimitachi wa Dou Ikiru ka (“How do you live?”), and Suzuki doesn’t think it’s the famed animator’s final feature. The reason why he’ll keep working, Suzuki says, is that Miyazaki would be bored if he actually retired. The current production, however, doesn’t currently have a release date. “With the production of this new film, we’re experimenting with having no established deadline. I’m looking forward to how that comes through in the work,” Suzuki said (via ANN). I can still remember when Princess Mononoke was supposed to be Miyazaki's last film.